Dimeric dibasic acid|Oleic acid|Polyamide resin|Vegetable pitch|Stearic acid|Monomer acid--Tianmen Chengxin Chemical Co.,Ltd. Tianmen Chengxin Chemical Co.,Ltd. is the professional production factory which takes nature grease as materials to produce fatty acid and other derivative products. Main products include oleic acid, stearic acid, plant pitch, dimeric dibasic acid, polyamide resin and others. The company founded in March, 2004, is located in economic development zone of Tianmen city in Hubei province. The company covers an area of 80 mu, and 3km from Tianmen city, and enjoys very convenient transportation. 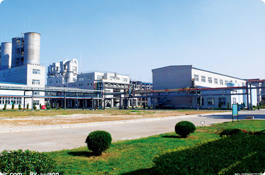 At present, the company has owned oleic acid craft and freezing technology production line. Annual output is 30,000 tons for oleic acid, 10,000 tons for stearic acid, 10,000 tons for dimeric dibasic acid and 10,000 tons for polyamide resin. The company ever obtained Credit and Contract Enterprise from Tianmen Municipal People’s Government, AAA level enterprise and others. The company adheres to business philosophy of credit oriented, moral top to realize mutual benefits to look forward to cooperating with you. Copyright(C)2010,Tianmen Chengxin Chemical Co.,Ltd. All Rights Reserved.